As the US continues to produce abundant supplies of oil and natural gas, the production of materials is becoming cost efficient. Hence, two giants in the industry have announced capacity expansions this week. 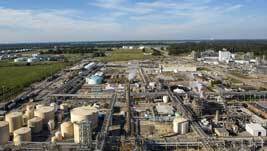 US-based ExxonMobil plans to add a new production unit at its Beaumont PE plant that will increase capacity by 65% – or approximately 650,000 tonnes/year -- to meet growing demand for high performance plastics. 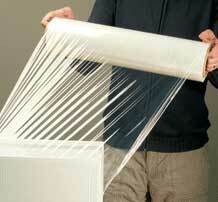 ExxonMobil says it is a leader in the manufacture of PE products for packaging applications that deliver light-weight, tough, damage-resistant films. Construction of the new unit has begun at the plant, where current PE production capacity is 1 million tonnes/year. Start-up is expected in 2019. ExxonMobil is investing billions of dollars along the US Gulf Coast to help meet growing global energy demand. These investments will not only expand existing refining and chemical capacity, but also stimulate economic growth and create more than 28,000 temporary jobs in construction and more than 1,200 permanent jobs over the next few years and beyond. “The availability of vast new supplies of US shale gas and associated liquids for feedstock and energy is a significant advantage that enables expansion to meet strong global demand growth in polyethylene,” said Cindy Shulman, Vice-President of ExxonMobil’s plastics and resins business. The Beaumont project builds on supply advantages created by ExxonMobil’s expansion of its Mont Belvieu Plastics Plant in Texas, where two similar PE units are being added. Combined, this multi-billion dollar investment will increase the company’s US PE production by 40%, or nearly 2 million tonnes/year, making Texas the largest PE supply point for ExxonMobil. The Beaumont expansion project will employ 1,400 construction workers and create 40 permanent jobs upon completion, as well as generate US$20 billion in economic activity in the first 13 years of operation based on 2015 Impact Data Source estimates. ExxonMobil’s previously announced investments at Beaumont include expansion of the refinery’s crude refining capacity in 2015 and, earlier this year, construction of a new unit to increase domestic supply of ultra-low sulphur gasoline and diesel. German chemicals company BASF has started engineering for a stepwise capacity increase of its methylene diphenyl diisocyanate (MDI) production facilities at the company’s site in Geismar, Louisiana. Capacity will be increased incrementally from 300,000 to around 600,000 tonnes/year.